The school year is over for most of us, summer break has started, and we are already preparing for the next school year. You probably are working on next year's class schedule, identifying and ordering supplies needed to start the year, and hopefully attending some professional development events. I encourage you to take advantage of the many opportunities available to learn new ideas and bring them back to your classroom. Check out NAAE's New Website! The NAAE website has gotten an overhaul, including added functionality that will allow members to more easily interact with NAAE and manage their membership. 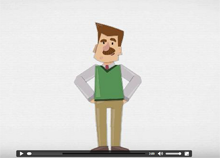 Visit naae.org to see the changes, andwatch this 2-minute video to learn about the updates and how to create your log-in account. NAAE is pleased to announce that we have hired four new interns for the summer of 2014. The interns will spend their summers working on several projects for NAAE. 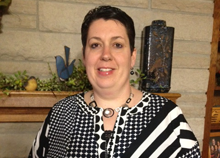 In the past 19 years of her teaching career at Versailles High School in Versailles, Ohio, Dena Wuebker has seen many changes in both education and students. She has played her own role in agricultural education reform through developing new program courses that have garnered national attention. It has been her career goal to prepare her students for life beyond the classroom and her innovative classroom ideas do just that. 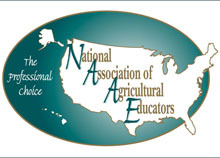 The annual NAAE Convention is the premiere opportunity for agricultural educators to gather and address issues facing agricultural education, guide the direction of the association, and take part in professional development designed specifically for you! Early Bird Registration ends July 7! This one goes out to all the amazing ag teachers who will be putting in extra time this summer helping students achieve success! Your school year has finally ended; you?re winded, tired and ready for a break. I know this feeling; I have had the exact same feeling for 27 years. Each year, teachers from across the United States participate in Curriculum for Agricultural Science Education Institutes in order to further elevate the rigor and relevance of agriculture, food, and natural resources in their classrooms. 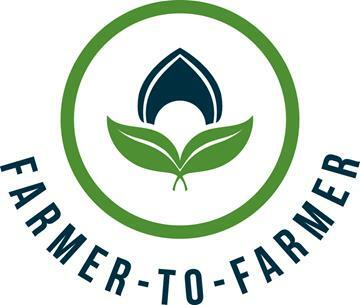 Looking for ways to introduce new students to the agriculture industry and to gain community involvement and support, Zachary Morris, agricultural educator at West Liberty High School in West Liberty, Iowa, created a farmer to restaurant program. His students grew fresh salsa ingredients for a local Mexican food restaurant. Check out Region II Lifetime Achievement Award Winner Carrol Marks to find out how his 35 years in agricultural education has left a lasting impression on his students, colleagues, and state. The NAAE Virtual Book Club is designed for agricultural educators to personalize their professional development. NAAE members can participate in the Virtual Book Club and earn up to 5 hours of professional development credit or CEU's. Sign up TODAY! NAAE is partnering with Catholic Relief Services on a five-year Farmer to Farmer Program supporting East Africa. Volunteer to conduct agriculture-related projects in partnership with East African hosts. Congratulations to the four agricultural education programs selected to receive a $2500 grant from Gothic Arch Greenhouses. Special thanks to Lincoln Electric as our newest Communities of Practice sponsor! (as a special project of the National FFA Foundation) In honor of their support, here are some popular posts from their community ? Ag Mechanics. Looking for materials to help recruit ag teachers to join NAAE? Check out the NAAE website for numerous tools and resources! Have You Logged in to the NEW NAAE website? Cast your vote & let us know! Interested in receiving a free set of 6" wood rulers for your classroom? Click here to find out how! Check out this blog fromwearteachers.comand get some ideas on how to refresh, regroup, and relax this summer! In the past 19 years of her teaching career at Versailles High School in Versailles, Ohio, Dena Wuebker has seen many changes in both education and students.She has played her own role in agricultural education reform through developing new program courses that have garnered national attention. It has been her career goal to prepare her students for life beyond the classroom and her innovative classroom ideas do just that. "My goal is to prepare students for the future." said Wuebker. "Whether they attend a four-year college, trade school, or enter the workforce upon graduation, I want them to be successful in their lives." To meet this goal, Wuebker recently helped develop a Capstone course for seniors enrolled in her Agribusiness course. Students spend half of their school day at Versailles High School, completing required classes, and the other half in an agricultural placement position. It's not often that students have the opportunity to receive instruction directly related to their coursework from an employer, but to Wuebker it's an essential step on their educational journey. "My greatest contribution is my ability to provide students with enormous opportunities that connect what they have learned in the classroom, demonstrate it in the lab, and then put it into actual real life use," Wuebker said. The development of the capstone course began when Wuebker realized that many of her students were choosing ag placement for their supervised agricultural experiences. Versailles High School had not had an occupational work experience program in many years, so Wuebker decided that a cooperative learning experience would be a great way to recruit and retain students in her program. The capstone course not only enhances students' occupational skills, but also provides great networking experiences for future employment and educational opportunities. It is of utmost importance to Wuebker that her students leave her program equipped with the life skills of cooperation, responsibility, and communication. "It is important to develop a student as a whole person, focusing on life skills that they will use every day. We lose the opportunity to watch them grow as professionals if we only focus on academic accomplishments," added Wuebker. "As a teacher, there is nothing greater than seeing a student grow academically and professionally throughout high school and on into their adult lives." Wuebker's dedication to her students, school, and the agricultural education profession was recognized when she received the 2013 NAAE Region IV Outstanding Agricultural Education Teacher Award. As part of her award, Wuebker also received a two-year lease on a 2013 Toyota Tundra. Toyota sponsors the Outstanding Agricultural Education Teacher Award as a special project of the National FFA Foundation. For more information about the Outstanding Teacher and all other NAAE awards, visit our awards page. Welcome 2014 NAAE Summer Interns! Why did you choose to major in agricultural education? My decision to study agricultural education had many contributing factors; the most prevalent being my passion for agriculture that I developed through my involvement in my high school agriculture program and FFA organization. Coming from a large family, I also knew that I enjoyed working with people and hoped to do so in my future career. The agriculture industry continues to be challenged by misinformation being translated to consumers, who hold the livelihood of the industry in the palm of their hands. I hope that through my work as an agricultural educator, I can help to develop young leaders who will in turn establish a brighter future for all agriculturalists. What are your professional goals? : After receiving my undergraduate degree I plan to seek a graduate level degree in Agricultural Communications and Journalism and later become an agricultural educator at a Kansas high school. What are you looking forward to most about being a NAAE intern? I am looking forward to working with an elite group of agriscience educators from across the nation at this year's National Agriscience Teacher Ambassador Academy (NATAA) on the beautiful DuPont Chesapeake Farms in Chestertown, Maryland. Why did you choose to major in agricultural education? I chose an agricultural education degree track because the agriculture industry is vital to our daily lives. Therefore, it is important to me to share the story of such a broad industry to those that I come into communication with, especially children. I wouldn't be where I am today if it weren't for my agricultural educators. What are your professional goals? : Upon graduating from Virginia Tech I plan to attend graduate school to receive my Master's in Agricultural Communications. I have hopes of working for an agriculture related organization in their communications department. What are you looking forward to most about being a NAAE intern? As an intern this summer I am most looking forward to improving my skills and abilities as a writer and also developing relationships with the NAAE staff and fellow interns. Why did you choose to major in agricultural education? I grew up on my family's crop farm and was very involved in my high school's FFA program. Together these helped me develop a passion for agriculture and the opportunities for young students to learn about it while developing leadership skills. Through my years in college I have found that I am proud of my background and want to share my story and knowledge about this important industry to others, which lead me to a career in education. I am excited for the opportunity to work with young minds and help them grow. What are your professional goals? : Become a high school agricultural teacher and FFA advisor in the state of Oregon. What are you looking forward to most about being a NAAE intern? The opportunity to work with and get to know those who are a part of the NAAE. Also the opportunity to gain insight into the agricultural education system from a national level and broaden my own knowledge about the industry through exposure and experience. Why did you choose to major in agricultural education? : Growing up with my mother as an agricultural educator, I was opened to the world of agricultural education at a young age. Because of this, I have seen the impacts that agricultural education has on students at the high school level. Seeing this level of impact has inspired me to become an agricultural educator. What are your professional goals? : My goals for the future include being involved in agricultural education in some way. This may include teaching in a high school classroom setting or communicating to the public the importance of agriculture and agricultural education. What are you looking forward to most about being a NAAE intern? There are so many different things that I am excited about being an NAAE intern. I am excited to communicate to our nation's leaders the importance of agricultural education. I am also excited to see a different aspect of agricultural education outside of a traditional classroom setting. Interested in becoming an intern for NAAE? Follow this link to learn more about our internships, including internship responsibilities and when applications are available. "Get Refreshed and Get Ready"
The school year is over for most of us, summer break has started, and we are already preparing for the next school year. You probably are working on next year's class schedule, identifying and ordering supplies needed to start the year, and hopefully attending some professional development events. I encourage you to take advantage of the many opportunities available to learn new ideas and bring them back to your classroom. Attend your regional conference, one of the many activities offered by educational vendors, and hopefully you applied for a CASE Institute or DuPont Agriscience Ambassador Academy. There are many opportunities out there that can help you make next year's school year even better. The NAAE staff has worked hard at improving the NAAE website. Based on feedback from the membership, a new website is up and running. Like all change, it will take time to become familiar with all that it has to offer. Check it out, it is a place you can find anything you need to advocate for agricultural education, improve your lesson plans, order NAAE materials, or just see what is going on in the agricultural education world. Spring arrived in some areas with a bang. Storms and fire left its mark on some of our members. The NAAE has provided some funds through the relief fund to some of our members. In my time on the board, that is one of the best ideas that ever came out of a national meeting. I hope you have some kind of activity planned for your regional meetings that will support that fund. Charlie and myself will be attending the regional conferences held this summer. I always look forward to attending those events. It is where we gather information, network with other agricultural education advocates, and see and learn about agriculture and agricultural education in those locations. Some of my best friends were made during those conferences. I have not missed a Region 2 conference in 20 years. If you have never attended your regional conference, I encourage you to start your 20 year streak this year. Take your family, it is a perfect opportunity to get refreshed. Remember to tell your story, it is our best advocate tool. "It is our intent to provide continuing support to members of NAAE to acquire the tools necessary to teach the vital skills of horticulture to the next generation," said Buzz Sierke, President and CEO of Gothic Arch Greenhouses, Inc. "We commend and support those who continually raise the bar for future generations. Those who provide our youth with the knowledge and ability to help feed society and to create a more sustainable, safer world are the silent heroes." Based in Mobile, Ala., Gothic Arch Greenhouses has been a leading provider of greenhouse kits and supplies to suit the needs of growers large and small since 1946.